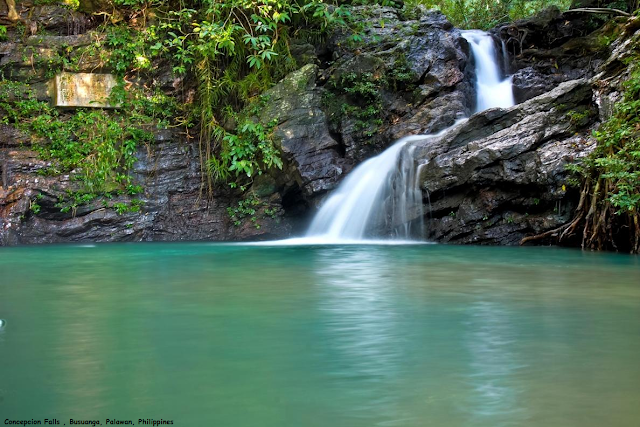 Conception Falls is a beautiful half day trip from Coron town or longer you just don't want to leave. It’s a stunning little oasis just a short walk from the main road and was very quiet when we visited. The waterfall is just stunning - it pours into a beautiful green-blue waterhole surrounded by leafy tropical jungle with smaller spurts trickling down from the cliff walls. The falls lead into a river than runs downstream to Conception Town and is fun for a little rapid floating once you tire of jumping into the falls and swimming through the clear water.